This one doesn't have red onions. 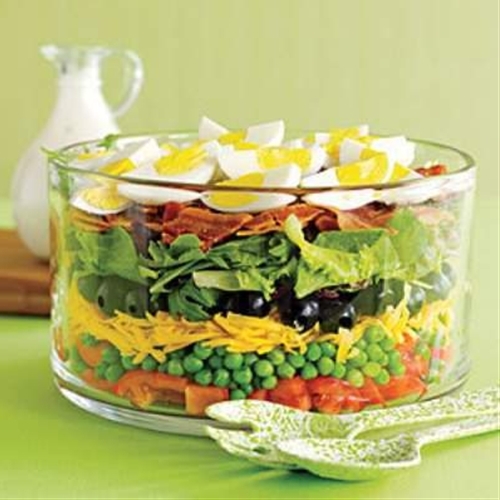 So add them and call it 8 Layer Salad! 6 oz diced black olives.